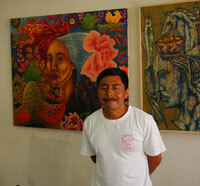 Biography - José Eddie Martinez is from Juchitan in the hot, lowland Isthmus of Tehuantepec region of Oaxaca, where he was born in 1963. 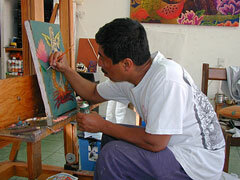 He studied at the Taller de Artes Plasticas Rufino Tamayo under Roberto Donis, and continued his studies with Juan Alcazar at the Taller Libre de la Grafica Oaxaquena. 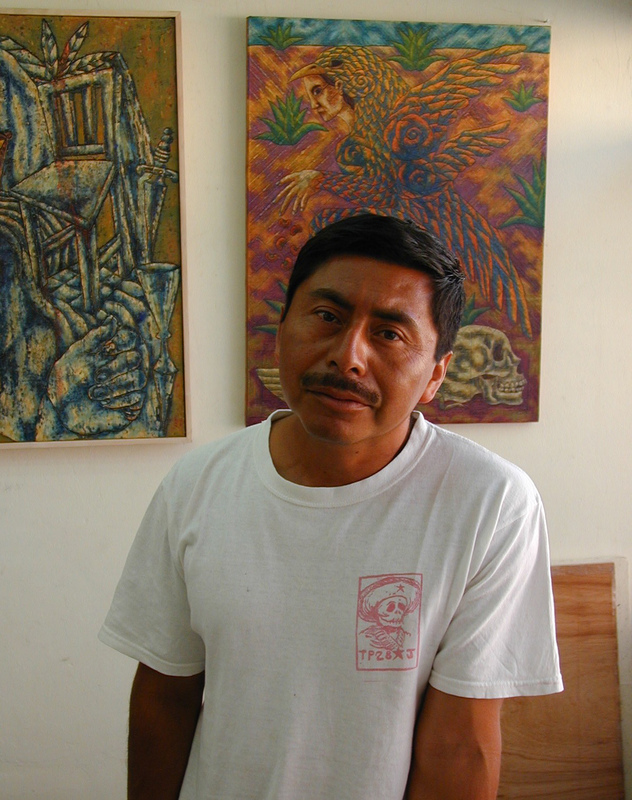 Eddie Martinez’s enigmatic and often dark prints and paintings have been featured in several solo shows in Oaxaca, as well as group shows in both the United States and Mexico, such as the touring Life, Legend and Dreams show in 1990. His work is included in such public collections as the Museo de Arte Contemporaneo Latino Americano in Uruguay, and the Nelson Center for the Arts at Arizona State University.